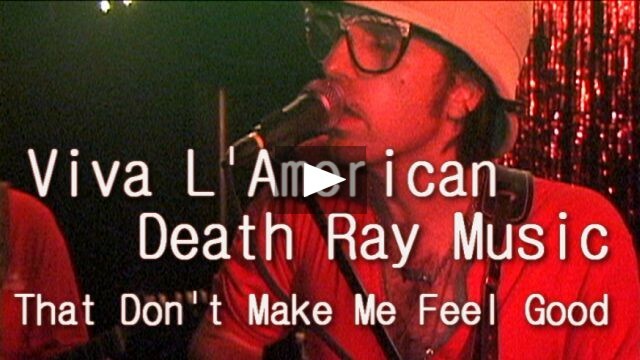 "Viva L'American Death Ray Music"
It's been 5 years since we last saw Viva L'American Death Ray Music in PUNKCAST#284. Since then they have become quite popular in Europe, and released several albums. 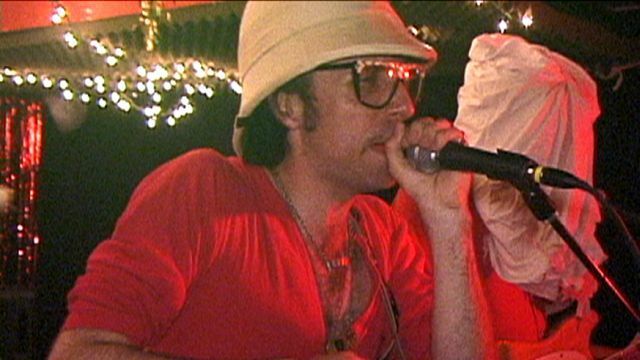 They've also taken to wearing red boiler suits and funny hats and, occasionally, playing dub music. Here we see them, having just returned from another Euro-jaunt, appropriately booked into Cake Shop on America's birthday, and a day after a US company announced it is ready to build a microwave ray gun able to beam sounds directly into people's heads by frying their brains in a controlled manner. Thus even more appropriately I have picked a song by the band called "That Don't Make Me Feel Good". 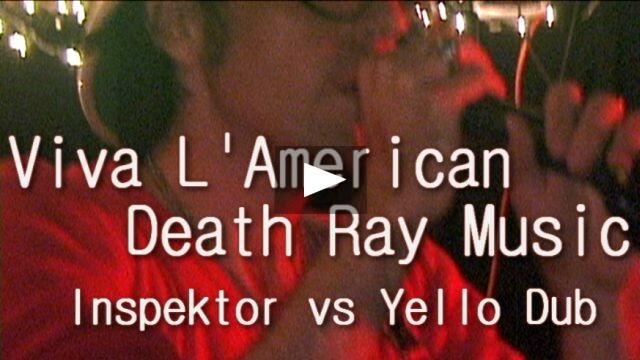 Before that we have the Jacob Milleresque 'Inspektor vs Yello Dub'.